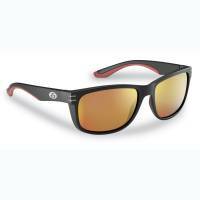 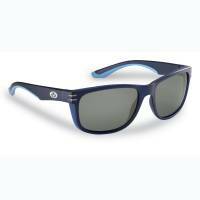 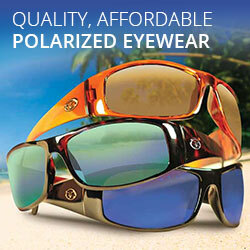 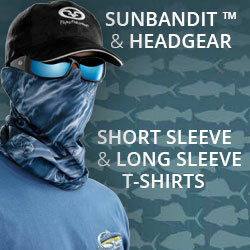 Flying Fisherman's Double Header polarized sunglasses deliver on both style and performance. Built for fishing, the Double Header shades feature a medium fit in a durable light weight frame with non-slip, co-injected temple padding that insures their comfort and fit. Scratch resistant polarized lenses sharpen optics and reduce eye fatigue, and penetrate the water’s surface to spot fish and structure. 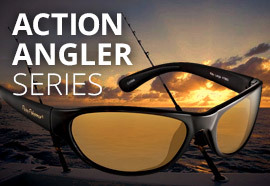 The AcuTint™ lens coloring system eliminates glare and enhances color contrast, without distorting natural colors, enhancing visual sharpness and comfort, maximizing the outdoors experience for anglers and water sports enthusiasts.